Creating dispute response documents and understanding disputes are vital parts of the dispute analyst job. Here are all the key pieces of information merchants and analysts need to respond and analyze disputes. While gathering all of this evidence, there is still an unanswered question: how should analysts format their response document? It will be easier to answer with clear documentation or a guide that explains the process well. Fortunately, Chargeback has response templates that resolve all formatting inquiries. Analysts and merchants alike can view our templates here. Each template is tailored to address and specific reason code. Here are some elements they can expect from each template. Every response requires a strong argument. But is also must be supported by evidence included in the document. The best rebuttal is one that summarizes all of details in the document and address how it proves the transaction is valid. While there is persistent evidence analysts can use for different responses, some reason codes require specific evidence for the dispute to be rejected. Feel free to search for the exact reason code right here and learn how to respond. A improper transaction invoice can produce a dispute loss. 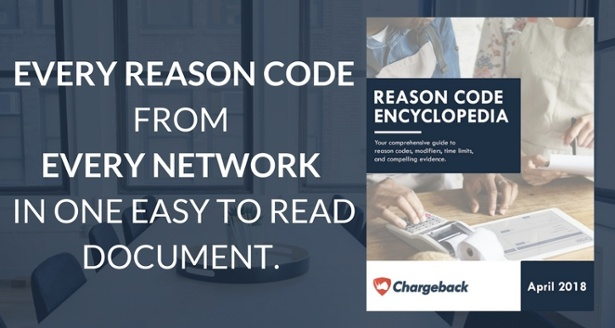 Feel free to read How to Create a Chargeback Response [The Right Way] to learn how to format a transaction invoice in a dispute response. Feel to jump on this page to see our selection of response templates. While the threshold of a “high risk” merchant is 1%, it is recommended for analysts to make efforts in lowering their dispute rate. And it is strongly advised to keep record and compare the dispute rate on a regular basis. As mentioned before in our earlier post, the dispute rate is calculated differently from one card network to another. Here is a quick recap of how it is calculated by Visa and Mastercard, respectively. It is advised to analyze the dispute rate on a monthly basis, but a quarterly analysis is sufficient. This will not only provide an overview of the dispute rate. It also helps an analyst uncover high- and low-points in the overall dispute rate. What kind of disputes did the merchant receive when the dispute rate was above 0.5? Why did the dispute rate drastically surge from one month to another? How much revenue did the analyst protect from being disputed as the dispute rate declined during a certain time period? Think of a win rate as a personal assessment of the dispute analyst and their team. But instead of assessing the dispute volume (as explained in the previous section), the win rate assesses how successful they are in winning against disputes. How does our win rate with consumer disputes compare to the overall win rate? The team seemed to have won and lost against the same type of fraud disputes. Are the losses a result of true fraud? What documentation does our team use to respond to disputes? Is it the reason for their losses? While examining the dispute rate and win rate, it is useful to report how successful the team is in preventing disputes. One way to do that is calculating the net change of the dispute volume. For example, let us say the team implemented new tactics to prevent disputes. Some examples may include a revised return policy or a more lenient approach to reduce a decline rate. In order to assess its impact, it is recommended to calculate the net change before and after these tactics were implemented. Here is some fictitious data we can work with. *Tactics implemented as of Apr 1. While this data is for illustration, the objective is to explain how it a dispute team can breakdown and assess their tactics. As of April, it appears their tactics are performing well. Another way to assess a tactic is to put a dollar amount on it. For the sake of argument, let us say the average dispute amount within the date range above was $300. This would mean each dispute would put $300 of revenue at risk for a potential loss. Here is a breakdown of how much revenue was saved from being disputed. It seems it took awhile for the tactics work in the team’s favor in April. But they managed to prevent to $261,000 of revenue from being disputed (from June to August). This is a vast improvement from before the tactics were implemented. From February to March, they managed to protect only $42,900. It does not take much to improve in dispute management. All it requires is a resource that compiles everything an analyst should be aware of. We welcome any comments to explain what improvements you would like to see in dispute management.